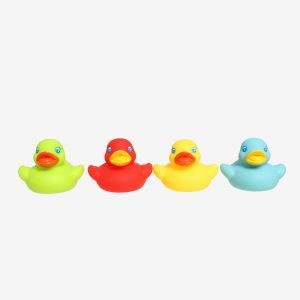 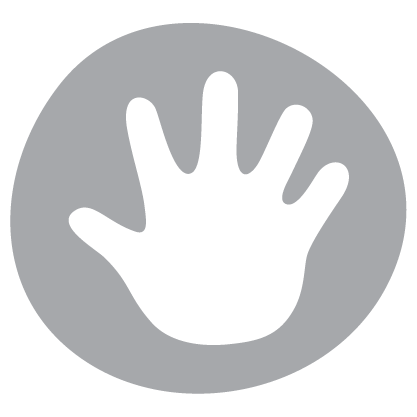 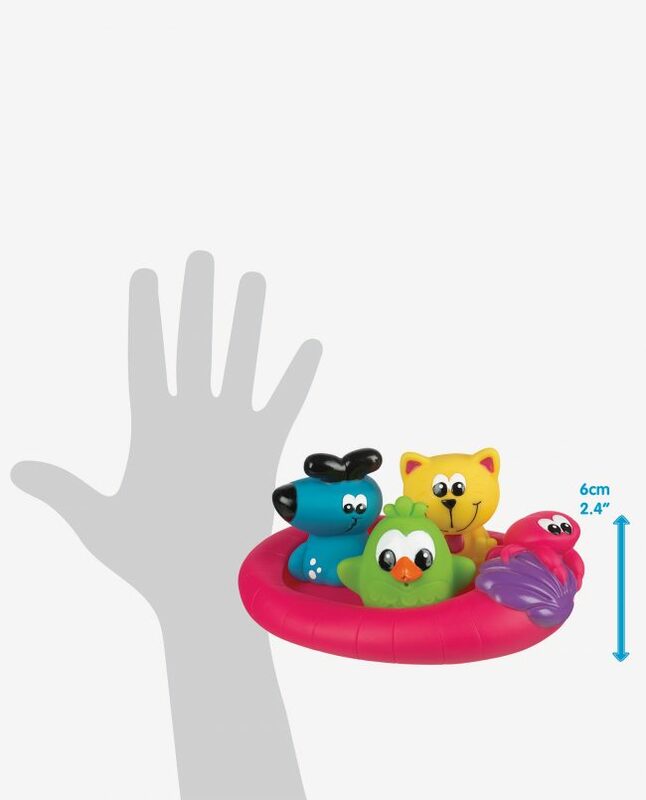 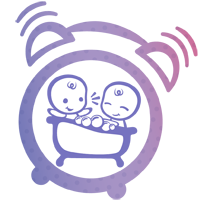 Meet your new floating friends! 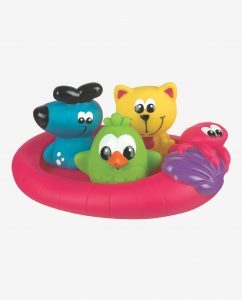 These three cute squirtees dog, cat and bird float across the water on their soft, textured boat. 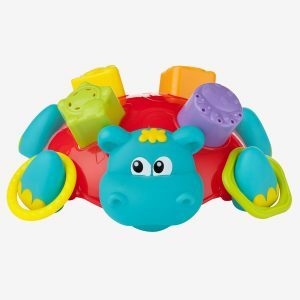 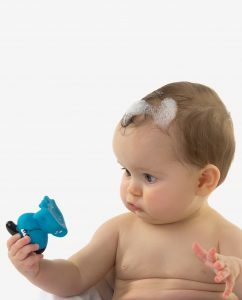 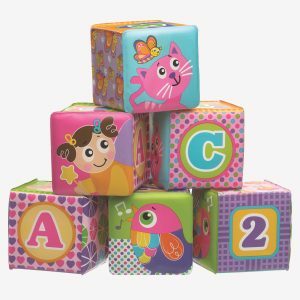 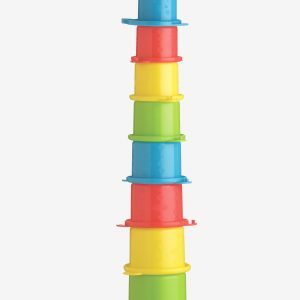 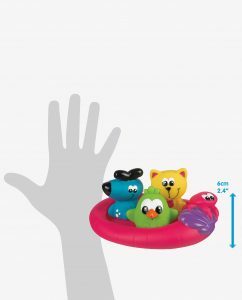 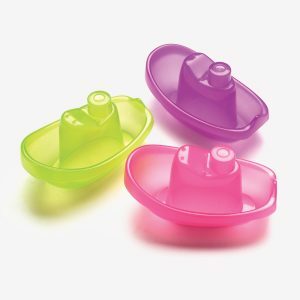 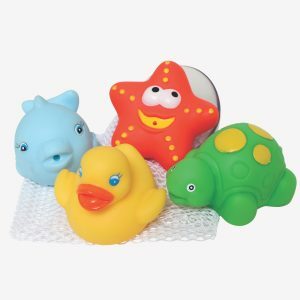 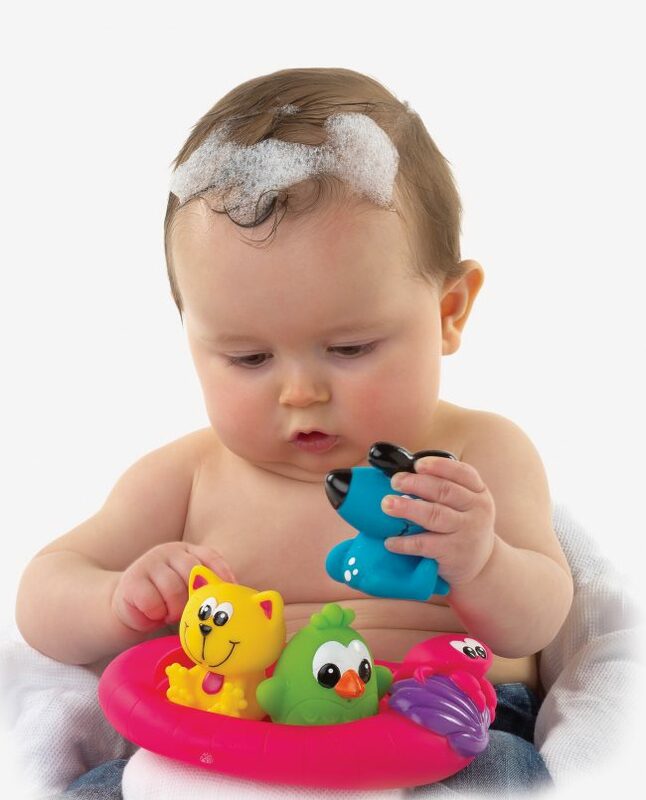 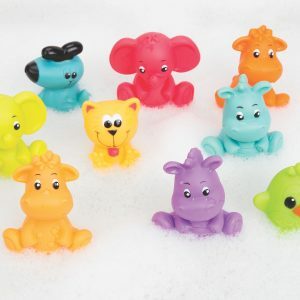 Bath squirtees can be squeezed to fill with water and squirt for fun water play!